Tourists can visit many attractions in Bali. Many things can be done in Bali. So do not be confused and always ask, what can be done while on vacation in Bali ?. Bali has many tourist villages, but the most famous are the five best villages in Bali to visit. 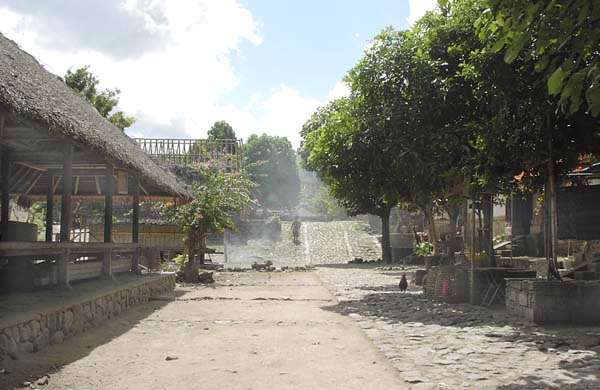 Penglipuran Village is the most famous tourist village in Bali, with an area of about 112 hectares, but no more than 9 hectares functioned as a home citizens. Entering the village of Panglipuran, must by walking times, not allowed to enter the village by motor vehicle. The village is very clean and free from air pollution. Panglipuran Village is one of the villages that has been awarded as the third cleanest village in the world. The unique of this village is a house with traditional nuances that are still maintained today. Hurah with wooden roof or weeds. Dindin house using woven bamboo with a pile of bricks. Ancient impression is very visible in this village. Trunyan Village is one of the oldest in Bali. Uniquely, if one of the residents in this village died, his corpse would only be placed in a bamboo cage under a sacred tree. This sacred tree can absorb banyat odor, so that the area around the corpse is placed no foul smell. Although the corpse is placed just like that and will rot, but it will not cause a bad smell, because the aroma is covered by the fragrance of the tree Trunyan. This uniqueness is the attraction of tourists who want to try to visit this village. Warning, do not ever intend to take any object that is around this sacred tree, because it will pose a danger to you. Batubulan village is a dominant art village with dance performances. 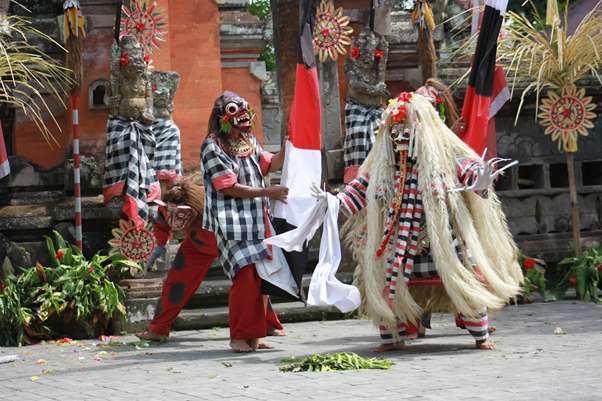 A variety of Balinese performances are featured in this village. Like barong dance, legong, and kecak. In addition, this village also has a variety of crafts for souvenirs. Every day in the village Batubulan always crowded by tourists, especially during the holiday season. The village of Tenganan is an ancient village that still has an ancient economic system, barter. Tenganan Village is one of three villages belonging to the Bali Aga group. Bali Aga is a tribe that still rely on traditional lifestyle since thousands of years ago. Uniquely, this Tenganan village still apply the traditional system of exchange of goods or barter in the sale and purchase transactions. If you want to see traditional Balinese life, Tenga Village is the right choice. 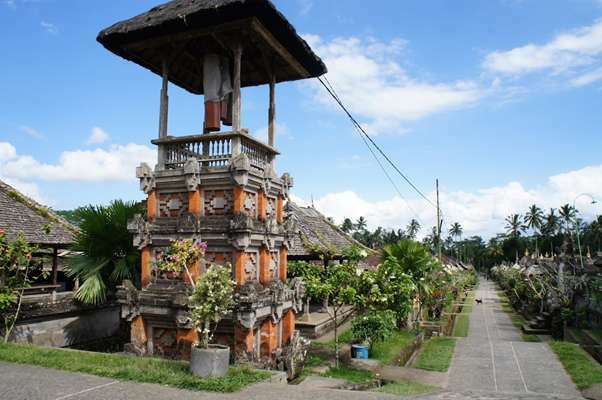 Ubud Village, all tourists who ever come to Bali must know this village. If to Bali without a visit to Ubud it will not be complete your tour activities. This area is very popular among local and foreign tourists. The village of Ubud offers beautiful landscapes and cool and fresh air that is rarely found in Bali. In addition to the natural scenery, Ubud is also famous for its art center. Among the painting, sculpture, dance, carving, and many other traditional arts. Ubud Village has a predicate as an international tourist village.